Now Sandy considered Miss Brodie not only to see if she was desirable, but also to find out if there was any element of surrender about her, since this was the most difficult part of the affair to realise. She had been a dominant presence rather than a physical woman like Norma Shearer or Elizabeth Bergner. 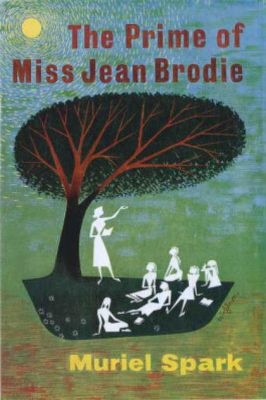 Miss Brodie was now forty-three and this year when she looked so much thinner than when she had stood in the classroom or sat under the elm, her shape was pleasanter, but it was still rather large compared with Mr.Lowther’s. He was slight and he was shorter than Miss Brodie. He looked at her with love and she looked at him severely and possessively.